Will cover travel and Transportation for right Actress! Do Not Submit if you have already Submitted! Working with a Director who is struggling to find the right person for his film shooting in June. This is for his sizzler reel for his Feature Film. 2) 1st phase- Submit an Audition Video- Auditions will be emailed automatically from Submission Box. 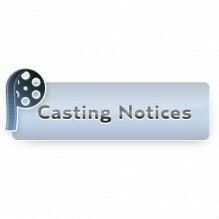 3) Production- will either request a second callback video or request to see talent in person for call backs. Synopsis: Highly anxious Karen is invited to a decadent outdoor lunch with her seemingly friendly co-workers. They try to convince her to add a peculiar event to a party they are throwing. It is a dark drama with elements of magical realism (inspired by the work of David Lynch and David Fincher). Stumbles onto a suspicious fine dining lunch with her anxiety flaring. She does her best to remain poised. Tactful but soft. Karen’s co-worker that wants her to be truthful and cut through the noise of Karen’s deflecting. Karen side: her social anxiety is flaring up then releases a profane, ugly, caged (by her anxiety) rant in protest rather than agree to the event. The event they want her to add is bringing in penguins to an executive yacht party. She sees it as just a grotesque, callous display of wealth. She does not want to have them to be there but she will compromise with making sure the penguins are taken care of (with cooling areas, ACs, etc). But her compromise is not looking good to them and her anxiety just gets worse. It is like she afraid to shout because they might do something to her so she’s restrained in her monologue. Marcus side: he is tactful but soft. Karen’s co-worker that wants her to be truthful and cut through the noise of Karen’s deflecting. He is the anchor of reason in the group. If you have any question please let me know. The side begins with Karen’s part to provide more context. You only need to record yourself reading for Marcus’ part. Karen already knows what they want her to roll over and allow the penguin event to happen when she shows up but they need her to go with it. Karen believes the reason they’re having the lunch party is to honeypot her into getting in line. Talent will be required to submit an Audition Video: Directions will be emailed you.